Gov. 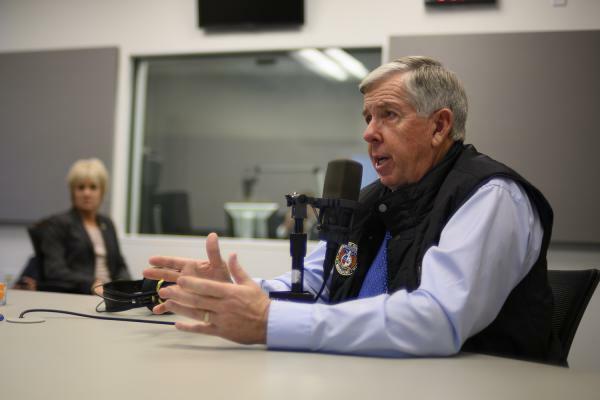 Mike Parson speaks to St. Louis Public Radio's Jason Rosenbaum during an interview Thursday. Here are a few takeaways from the interview, which is scheduled to air Monday on St. Louis on the Air. The scandal that ultimately led to Eric Greitens downfall broke in January. 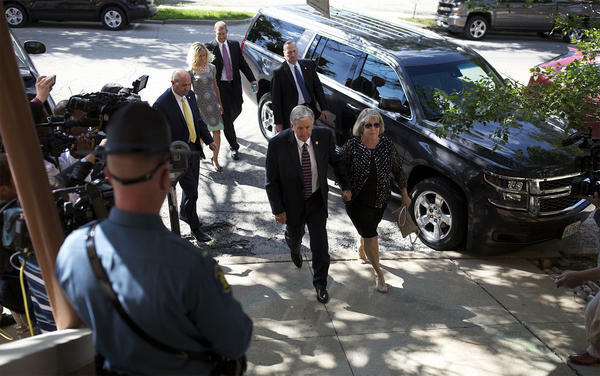 But Greitens didn’t formally resign as governor until the beginning of June, placing Parson, who was the state’s lieutenant governor, in a holding pattern. While Parson retained most of his predecessor’s cabinet, almost all of the former governor’s staff resigned after Greitens left office. That created additional challenges. One recurring mantra of Parson’s governorship is his desire to improve the state’s workforce development. And one specific aspect of that goal is finding a state role in early childhood education. Currently, it’s essentially local school districts’ responsibility to pay for early childhood programs. Parson said that may need to change. Asked about whether that revenue source could, hypothetically, come from an increase in cigarette taxes, Parson replied: “I think you put everything on the table that’s out there, possibly.” He also said a recent U.S. Supreme Court decision that gave the go-ahead for online retailers to collect sales taxes is another possibility. Parson faced disappointment in November when voters rejected a gas tax increase for transportation projects. He said he’s not terribly interested in making excuses for that outcome. 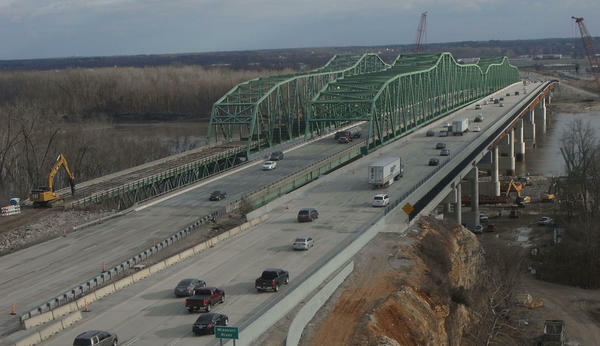 Few people disagree that Missouri’s roads and bridges need more money. But there is contention over how to pay for it, as voters also rejected a sizable sales tax increase in 2014. “I think you’re going to have to go back there and get a little outside the box on this and say, ‘OK, is there a revenue stream out there? Can you create a revenue stream — whether that’s bonding, whether that’s a separate revenue source on that?’” he said. Parson recently appointed former House Speaker Todd Richardson to lead the state’s Medicaid program. Even though Richardson does not have a background in health care, Parson said the Poplar Bluff Republican is determined to make the health care program for the poor and disabled better. “And when I heard him say that, and when I saw the passion he had for really trying to work and fix this, I felt like it was an opportunity,” he added. At least one lawmaker, Sen.-elect Eric Burlison, R-Greene County, introduced a right-to-work measure this month. Senate leadership has stressed that it’s not a priority for them this year, a sentiment echoed by Parson. Greitens helped freeze the state low-income housing tax credit program last year, contending the incentive was inefficient and a boon for well-connected developers. Even though he was opposed to Greitens’ move, Parson says he won’t restart the tax credit until the legislature makes changes to the program. He made it clear that if the General Assembly doesn’t act, he’ll make sure that the Missouri Housing Development Commission continues its halt on the state incentive. 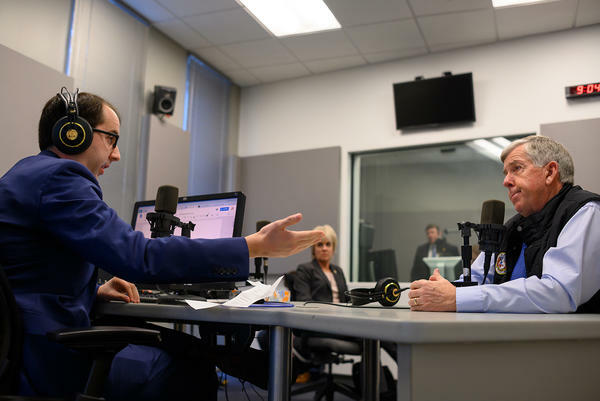 Even though altering the low-income housing tax credit program has faced massive legislative obstacles over the past few years, Parson is optimistic. State Treasurer Eric Schmitt is slated to become attorney general in early January, giving Parson the opportunity for the third statewide vacancy appointment of his gubernatorial term. The governor says he could make his decision as early as this week. Parson said he’s looking at candidates who have a business background and strong examples of leadership. He said he’s cognizant that he’s in an unusual position of appointing so many statewide officers in a short amount of time.